Note: the last Red C poll does not provide separate estimates for the Green Party and Others, therefore the OTH and GP line end in April. Opinion polls are a source of information for voters, parties and the media alike. 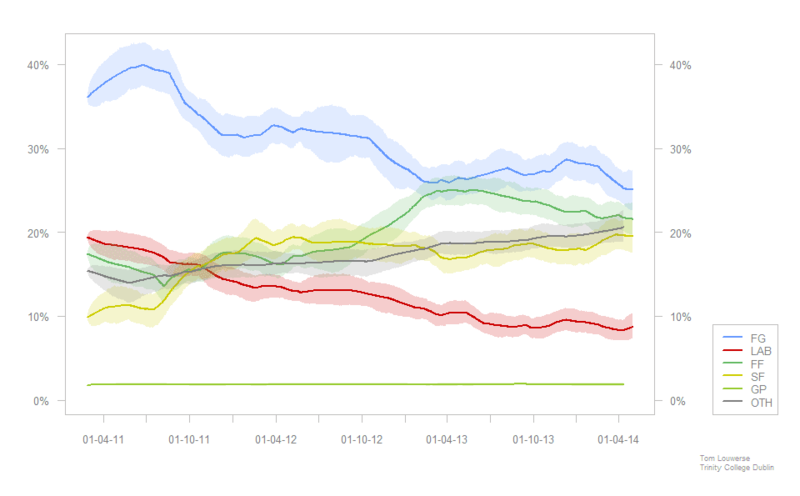 Especially polls into the popularity of parties are usually quite popular. Polls can be a powerful instrument: if done well, a sample of just 1000 voters can give great insights into the (political) views of the entire Irish electorate. But polls are often misunderstood and incorrectly reported. A new tool brings together all Irish opinion polls and aggregates them into one estimate of the support for Irish parties.